1. Audio equipment steering wheel controls. 2. Steering lock and ignition. 9. Central armrest with storage. Electric window controls. 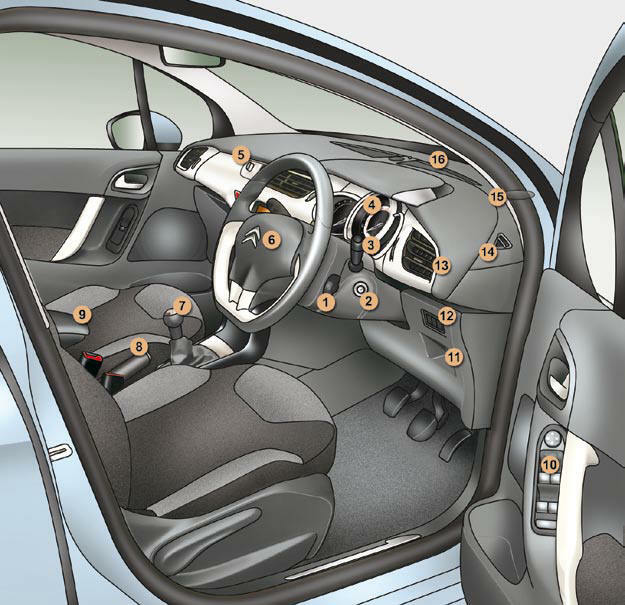 Rear doors and electric windows deactivation control. 12. Electric child lock button or Alarm button. Electronic stability programme button (ESP/ASR). 13. Side adjustable air vent. 14. Front door window demisting/ defrosting vent. 1. Steering wheel adjustment control. 3. Cruise control/speed limiter switch. 4. Lighting and direction indicators control. 8. Hazard warning lamps switch. 9. Central adjustable air vents. 10. Sunshine sensor HiFi audio system central speaker. 12. 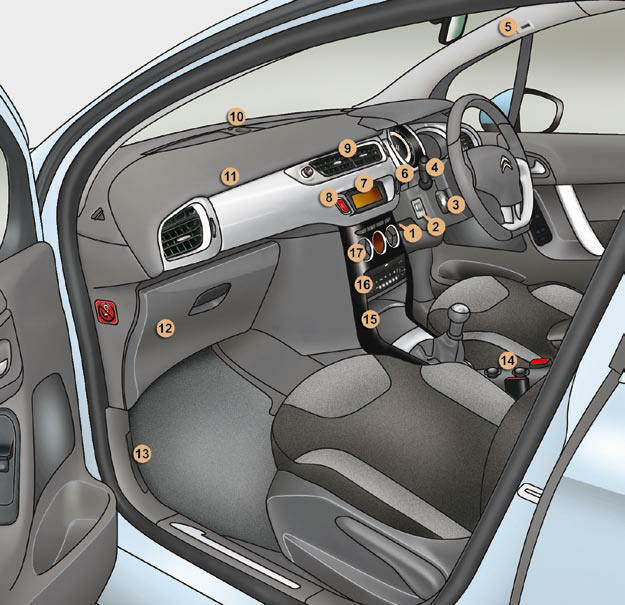 Glove box/Passenger airbag deactivation/Fusebox. 14. 12 V accessory socket USB port/Jack socket. 15. Upper and lower storage. 16. MyWay or Audio system.